The practice of hydraulic fracturing (fracking) is currently one of the most controversial issues in energy development. Fracking uses large quantities of fluids at high pressures to fracture rock, often shale, formations containing natural gas or oil; wells for fracking can have both vertical and horizontal sections. Shale gas production across the U.S. increased from almost 1.3 trillion barrels in 2007 to more than six times that amount (almost 8 trillion barrels) in 2011. The regulation of fracking falls to state and local governments, with the federal government providing primarily technical assistance. The federal government’s hands-off approach has sanctioned a high level of variation in state-level fracking regulation strategies. And, although fracking development tends to be inconsistent across the country due to regional variations in geology and hydrology, the regulatory variation tends to follow a state’s relative dependence on surface water versus groundwater. However, there does not appear to be a broad integration of water appropriations policy with fracking regulations. According to a recent report from Resources for the Future (RFF), heterogeneity in regulations is not inherently good or bad – there might be justifications for the variation, such as differing geology/hydrology. However, state-to-state variations in regulatory schemes do have a cost; for instance, such variation might make it more challenging and costly for industry to identify and comply with drastically differing regulations. Further, the risk of interstate environmental degradation combined with heterogeneity might lead to interstate conflicts. Consider, for example, the Delaware River Basin, where conflicts related to fracking’s impact on water resources had to be solved by an interstate Commission. This tension escalated into a lawsuit and essentially resulted in a temporary moratorium on water use for fracking in the region. Thus, without justifications, state-by-state variations in fracking regulation might be detrimental to both environmental protections and the viability of the industry. As demonstrated in the Delaware Water Basin conflict, one of the most controversial aspects of fracking is the potential impact on water supplies, both from a quality and quantity standpoint. Aside from the potential contamination from surface spills and subsurface migration, each gas well requires vast quantities of water; while some companies recycle half of the water used for fracking, the DOE has estimated between two to four million gallons for each well, while other estimates are as high as 13 million gallons for particular operations in Texas. The sheer quantities involved raise sharp concerns about the viability of fracking activities, particularly within water scarce states. Given their intimate relationship, a question is blossoming regarding whether fracking regulations ought to be more closely tied to water appropriations schemes within each state. However, water appropriations schemes themselves vary state-to-state. Generally, state surface water appropriations are not fully integrated with groundwater appropriations regimes. There are multiple appropriations doctrines for each water source across jurisdictions. For instance, surface water appropriations fall broadly into three categories: prior-appropriations, riparian rights, and hybrid systems. Does the variety within surface and groundwater appropriations regimes provide a justification for variation in fracking regulations? The report by RFF, The State of State Shale Gas Regulation, did not directly address this question. The study attempted to identify justifications for regulatory heterogeneity through an examination of 25 state-level regulatory elements employed in 31 states and an analysis of 48 geological, hydrological, demographic, economic, political, environmental, and other variables. The report defined the “regulatory elements” to refer to a variety of tool types used to regulate shale gas activity, including command-and-control regulations, performance standards, and case-by-case permitting. The variables examined did include water setback, water withdrawals, fracking fluid disclosure, fluid storage options, underground injection, and wastewater transport tracking, but did not attempt to analyze a state’s water appropriation doctrine explicitly. The report found few statistically significant correlations, and even those correlations explained at most 35 percent of the heterogeneity, indicating that there are likely causes for heterogeneity that were not considered in the study or that cannot be quantified. One of these statistically significant associations was between states with more fracking activity and more state-wide regulations. This seems rather unsurprising considering that states with higher fracking activity are more likely aware of the tensions and more willing to institute regulations in some form. From the viewpoint of concern about impacts on water, another significant association from the RFF report is that regulations protecting groundwater are more prevalent and more stringent in states where groundwater makes up a greater fraction of the state’s water consumption. According to the US Geological Survey from 2005, notably before fracking became such a significant source of natural gas production in the U.S., groundwater use was highest in California, followed by Texas, Arkansas, and Nebraska. The relationship between groundwater regulations and groundwater usage is intuitive in light of the typical objectives for groundwater regulation. According to researchers at the University of Arizona, the top three state groundwater governance priorities across 49 states include: water quality/contamination (90% of states reported this to be a priority); conflicts between water users (e.g., well interference) (72%); and declining groundwater levels (64%). Each one of these priorities could be negatively impacted by fracking activity, as discussed above. The RFF report also found that states that rely more heavily on surface water employed a higher number of regulatory elements. Given this relationship, it might seem intuitive that a state’s surface-water appropriation doctrine would be correlated with fracking regulation. The vast quantity of water consumed in fracking activities raises the question of whether water-scarce states, which tend to follow a prior-appropriation scheme, use different regulatory tools than states that follow the riparian or modified-riparian doctrines. The two appropriations doctrines embody different values for water use. For instance, prior-appropriations, where the first to claim the water right may use all available water for a “beneficial” use, is more focused on the individual. This contrasts with riparian appropriations, where each individual’s needs are weighed against the needs of other riparian users. Indeed, the need for water for gold mining in the face of a water-scarce West was a major factor driving the shift from riparian schemes to prior appropriation doctrine. While a state’s water appropriation doctrine was not one of the variables explicitly examined in the report, the geographic tendencies of prior appropriation (most Western states, minus California and Oklahoma) versus riparian rights (most Eastern states minus Iowa) in combination with the maps produced in the RFF report made a qualitative survey possible. A map showing the distribution of water policy doctrines in the U.S. and an example map from the RFF report are included below as Figure 1 and Figure 2 respectively. These maps do not suggest that prior appropriations states differ substantially from riparian states in applied fracking regulatory elements. However, the proportion of western states not included in this study (the grey states in Figure 2) and the lack of a variable to account for water appropriations doctrine in the RFF study make quantitative analysis beyond the scope of this post. Further, movement toward modern statutory administration of water rights across the country has led states away from strictly prior-appropriation or riparian systems. Even still, one possible explanation for states not integrating fracking with water appropriations is that fracking regulations stem from oil and gas, not water, regulations within the state. In fact, the RFF report posits that one possible explanation for heterogeneity within fracking regulations is the historical and political background of oil and gas regulations in each state. This post seeks only to raise the question. Figure 1. Distribution of water policy doctrines in the U.S. The states in orange follow the prior-appropriation doctrine. Those in green follow the traditional riparian doctrine, while those in blue follow a modified-riparian doctrine. The three states in grey follow a hybrid approach, including aspects of both doctrines. Figure 2. Fracturing Fluid Disclosure Requirements by State. The study was conducted for 31 states (states in grey were not included in the study). Blue indicates that disclosure is required, purple states require disclosure with exclusions, brown states have proposed disclosure requirements, and no evidence of such regulation was found for orange state. There does not appear to be a trend for western, prior-appropriations states to differ from eastern, riparian states in regulations for fracking fluid disclosure requirements. There is a similar lack of trend in the other maps produced for the RFF report. The RFF study did not claim to be a comprehensive analysis of all factors. It was inherently limited; it only examined certain states and variables. While there is not a clear trend among riparian states to regulate fracking differently than prior appropriation states, there is clearly an association between state fracking regulation and water source reliance. This association suggests that fracking regulations ought to be better integrated with water appropriations. The Department of Energy made recommendations regarding the need to integrate water and energy regulatory schemes as early as 2006 in a report to Congress, titled Energy Demands on Water Resources. The need to integrate regulatory schemes is particularly important with fracking “because shale oil resources are predominantly located in areas where water has a high value, [and] oil shale development may be constrained by both water availability and value.” In fact, the DOE went so far as to recommend “integrated planning and management of energy and water resources with collaboration among the federal, regional, and state agencies, as well as industrial and other stakeholders.” Further study of the association between fracking regulation and water appropriations doctrines would assist in integrated planning and management. Additional study regarding state-local tension would also be helpful to developing an integrated regulatory strategy. The RFF report also did not consider complications related to the developing tension between state and local-level fracking regulations. In a 2012 report, titled, Energy-Water Nexus: Coordinated Federal Approach Needed to Better Manage Energy and Water Tradeoffs, the Government Accountability Office reported that the “stove-piping” of regulation across local, state, and federal levels “results in decision making that does not adequately account for the interactions between energy and water.” Thus, future studies will likely need to consider the impact of intrastate heterogeneity in addition to interstate heterogeneity. The RFF report provided a thought-provoking and insightful first step, but its purpose was to raise questions and begin further discussion. As climate change alters the availability of water resources and the fracking industry booms, there will be increased pressure to change fracking regulations across the board. Thus, one pressing question seems to be whether full integration of water appropriations and fracking regulations is a wise regulatory strategy for states, particularly those with limited and precious water resources. U.S. Envtl. Prot. Agency, The Process of Hydraulic Fracturing (March 16, 2014), http://www2.epa.gov/hydraulicfracturing/process-hydraulic-fracturing. U.S. Energy Information Administration, Shale Gas Production Data (Aug. 1, 2013), http://www.eia.gov/dnav/ng/ng_prod_shalegas_s1_a.htm. J. Jay, Can We Get Some Help Over Here? 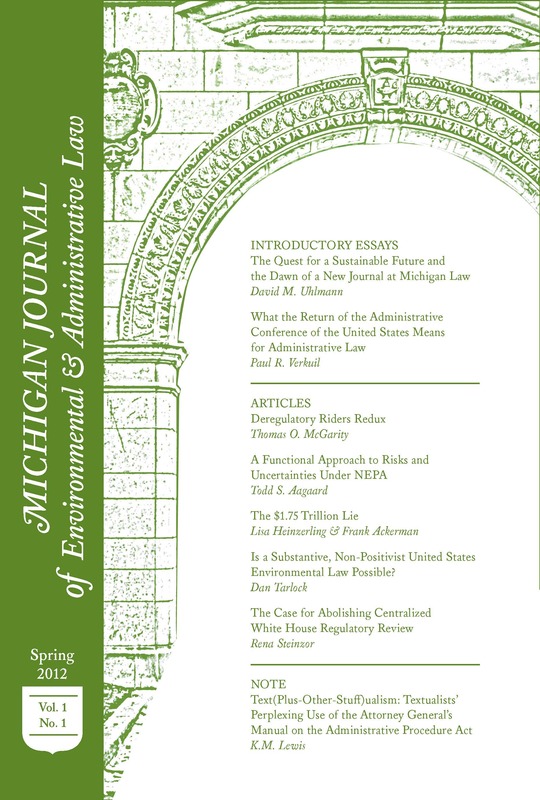 Federal Regulators Continue To Struggle To Police Fracking, Mich. J. Envtl. & Admin. L. Blog, (Nov. 19, 2012), http://www.mjeal-online.org/?s=fracking&x=0&y=0. Nathan Richardson et al., Resources for the Future, The State of State Shale Gas Regulations 1 (2013), available at http://www.rff.org/rff/documents/RFF-Rpt-StateofStateRegs_Report.pdf. The Delaware River Basin Commission (consisting of representatives for Delaware, New Jersey, New York, Pennsylvania, and the federal government) published draft regulations to govern the use of Delaware River water resources in fracking specifically “[b]ecause fracking techniques [in the Marcellus Shale] involve the use of water resources of the Delaware River Basin.” Robin Kundis Craig, Hydraulic Fracturing (Fracking), Federalism, and the Water-Energy Nexus, 49 Idaho L. Rev. 241, 251-52 (2013). U.S. Dep’t of Energy, Shale Gas Primer, 2013 Update 60 (2013), available at http://www.google.com/url?sa=t&rct=j&q=&esrc=s&source=web&cd=1&cad=rja&uact=8&ved=0CCcQFjAA&url=http%3A%2F%2Fwww.netl.doe.gov%2FFile%2520Library%2FResearch%2FOil-Gas%2Fshale-gas-primer-update-2013.pdf&ei=vVArU46fNaGbygGO_oCoAQ&usg=AFQjCNGRmQTZgo1m53i6CeZdizuvrMO04Q&sig2=EKV5l-2aMz86N841kxNybQ&bvm=bv.62922401,d.aWc. U.S. Dep’t of Energy, Modern Shale Gas Development in the United States: A Primer ES-4, ES-5 (2009) at ES-4, 64, available at http://www.netl.doe.gov/technologies/oilgas/pubUcations/EPreports/Shale_Gas_Primer_ 2009.pdf. Heather Cooley & Kristina Donnelly, Pacific Institute, Hydraulic Fracturing and Water Resources: Separating the Frack from Fiction 15 (June 2012), available at http://www.pacinst.org/reports/fi-acking/fuU_report.pdf. Nathan Richardson et al., Resources for the Future, The State of State Shale Gas Regulations 88 (2013), available at http://www.rff.org/rff/documents/RFF-Rpt-StateofStateRegs_Report.pdf. Dan Tarlock et al., Water Resource Management, 267 (6th ed. 2009). Z. Grossman, U.S. Water Policy & Conflicts, Water is Life,http://academic.evergreen.edu/g/grossmaz/BINNEBBD/. U.S. Dept. of Energy, Energy Demands on Water Resources: Report to Congress on the Interdependency of Energy and Water 20 (2006), available at http://www.sandia.gov/energy-water/docs/121-RptToCongress-EWwEIAcommentsFINAL.pdf. Nathan Richardson et al., Resources for the Future, The State of State Shale Gas Regulations 2 (2013), available at http://www.rff.org/rff/documents/RFF-Rpt-StateofStateRegs_Report.pdf.